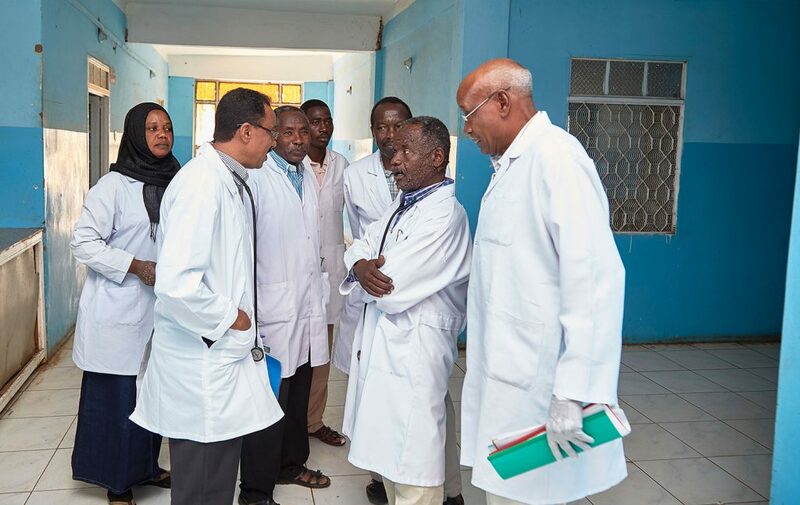 The clinical trial will be conducted under the umbrella of the new Afri-KA-DIA Consortium composed of ten academic and research partners who have conducted innovative VL clinical trials in eastern Africa over the past 12 years. The trial is being implemented under LEAP, a research and training platform dedicated to conducting trials in leishmaniasis, coordinated by DNDi’s regional office in Kenya with members drawn from Ethiopia, Kenya, Sudan, and Uganda. Afri-KA-DIA is a consortium created to find improved treatments and diagnostic tools for visceral leishmaniasis in eastern Africa. Over the past 12 years, Afri-KA-DIA Consortium partners have conducted innovative VL trials in the eastern Africa region. Many of these were joint efforts. The consortium comprises three leading universities and one research institution from eastern Africa as well as four leading European research institutions with a strong track record in field-based research and two well-respected not-for-profit product development partnerships specialised in R&D for neglected diseases. The Afri-KA-DIA Consortium is funded by the European & Developing Countries Clinical Trials Partnership (EDCTP). This project is part of the EDCTP2 programme which is supported by the European Union under Horizon 2020, its Framework Programme for Research and Innovation.